Hummus is probably one of the most popular dishes in our house. 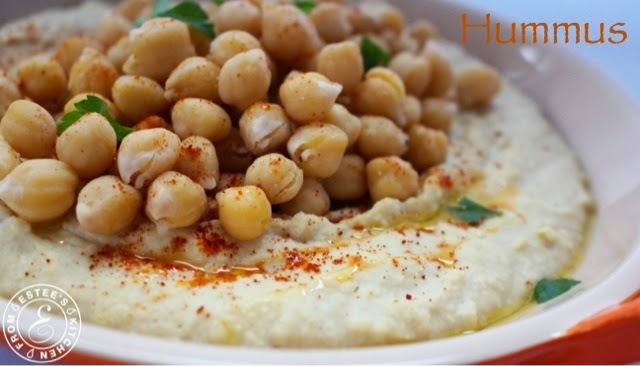 There's nothing like homemade hummus! I soak the garbanzo beans the night before and cook them the next day. My kids like to snack on the cooked beans, so I always keep some for them. I use a high quality tahini (preferably 100% whole sesame); if you use good ingredients, you are most likely going to end up with a delicious result! You can use it as a dip, but I actually use it for my kids sandwiches, add a cucumber or a lettuce and tomato, and it's so good!! 4 cups soaked all night garbanzo beans, cooked in salty water until soft. Add all the ingredients to the food processor and let it work until the texture becomes smooth and creamy. Serve on a wide plate. 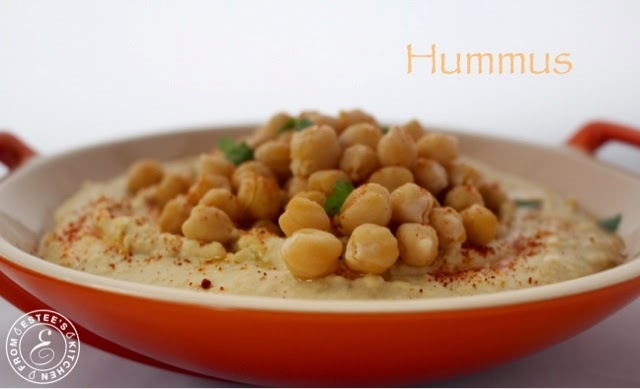 Take the garbanzo beans that you kept aside and put over the hummus, garnish with parsley, sweet paprika and extra virgin olive oil.